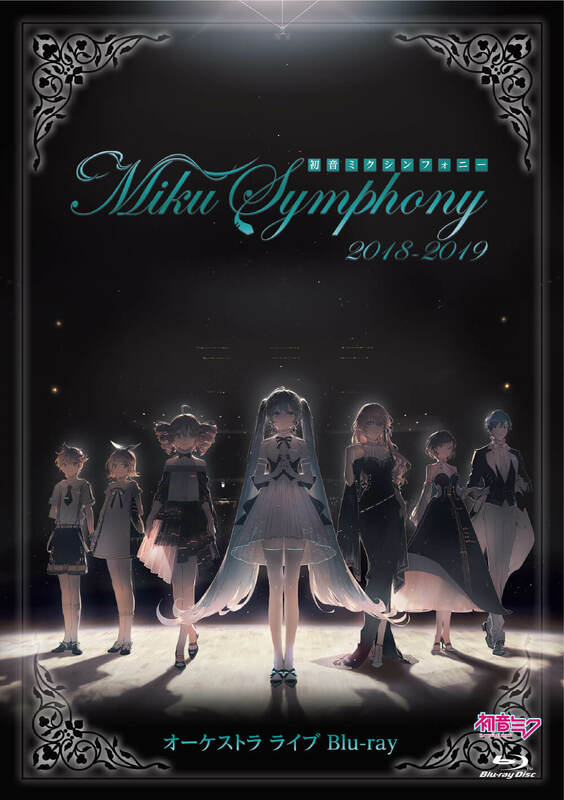 Hatsune Miku Symphony 2018-2019 was held in November last year and January this year, ending with huge success. The concert is set to head to Yokohama on October 14, and fans will be delighted to hear that an additional show has been announced in Osaka for December 23. It will be held at Festival Hall where it was also held in 2017. 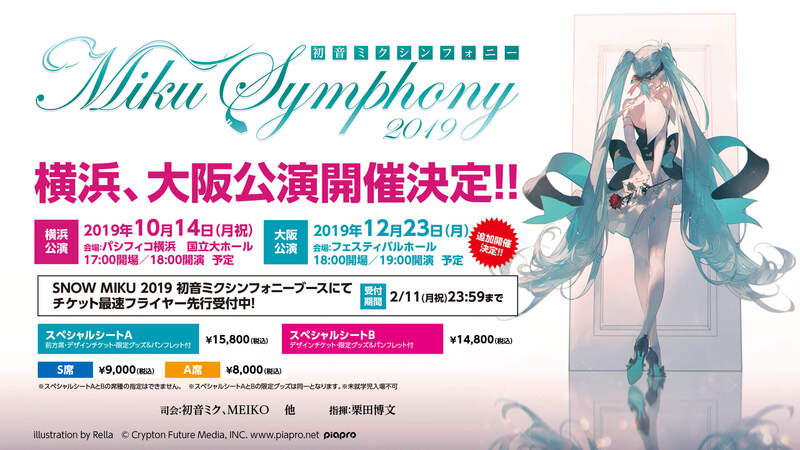 Fans can get pre-sale tickets until February 11 by attending the SNOW MIKU 2019 and scanning the QR code pictured on the flyers being handed out at the Hatsune Miku Symphony booth. 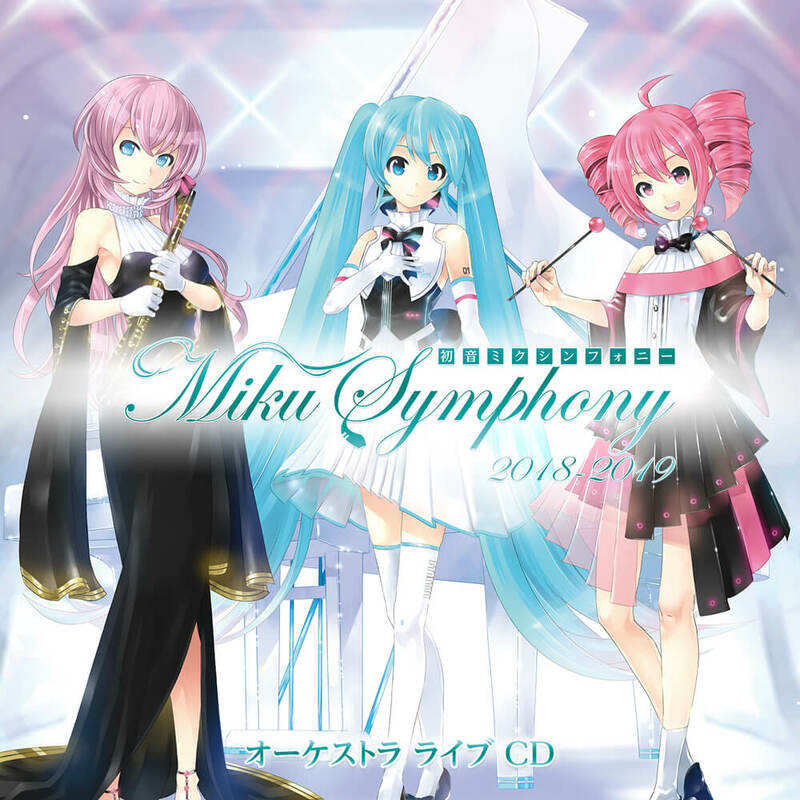 Official Hatsune Miku Symphony 2018-2019 merchandise is also being sold via Warner Music Direct as well as at SNOW MIKU 2019 at the Hatsune Miku Symphony booth. Those who purchase any of the merchandise from the booth will receive one of three possible magnet clips. These are available on a first-come, first-served basis.